If you love your car, then you want to keep it looking its best all the time. Whether it’s washing it on a regular basis or making sure that you don’t damage the exterior, your car’s appearance is important. However, as much as we would love to keep our vehicles looking pristine, accidents do happen. Unless you plan on keeping your car in the garage for its whole life, scratches, scuffs, and scrapes are going to occur. So what can you do in those situations? You could take it to a body shop, but that will be expensive and take time. To save money, you can instead take care of the problem yourself. As long as the scratch isn’t too long or deep, you should be able to use a scratch removal system that will restore your car’s color and shine to its original quality. For your convenience, we’ve compiled a comprehensive guide to car scratch removers so that you can get your vehicle looking its best in no time. What are the best Car Scratch Remover products? What is Car Scratch Remover? Simply put, a car scratch remover is a product that will either minimize or eliminate scratches from your vehicle’s paint job. Most of the time, scuffs and scratches only damage a few layers of paint, meaning that you can buff it out and restore the color and shine without having to do anything too intense. In short, these removers can make it easy to correct any accidents that happen. There are three basic ways that this system can work. First, you can sand the area and remove the outer layers of paint to make a shallow scratch go away. Second, you can fill the scratch with a polymer or lacquer that will dry and appear the same color as the original paint job. Finally, you can use a wax pen to “draw” over the scratch with a special type of wax that will seal the scratch. Each of these methods works, but they are not all effective in the same way. Sanding is for shallow scratches that didn’t go all the way to the undercoat. Filling the scratch is a more permanent solution for deep scratches, but it could take a few coats to get the same level of protection. Finally, a wax pen is a quick and easy fix, but it will rub off eventually. In this guide, we are focused more on sanding and filling in the scratches with polymers and lacquers, as these provide the best results and usually are more permanent. Usually, having a decent car scratch remover in your garage is a sound investment. Small scuffs and scrapes happen all the time, and even if you’re fine with having a couple of them, the fact is that eventually they will add up and your car will start to look worse for wear. The benefit of using a car scratch remover is that you can fix the problem yourself for much less than it would take to go to a body shop. Also, you don’t have to wait for hours for the shop to do the work, meaning that you can take care of your car on your time and within your budget. Overall, if you want to take care of your car at all, a car scratch remover kit is essential to ensuring that it looks its best at all times. What Kind of Damage Can it Fix? For the most part, these kits can take care of light scratches, scuffs, and scrapes. Some of the more high-end packages can also take care of deep scratches that go to your vehicle’s undercoating, but they usually require that you match the color of your car so as to get the best result. Usually, these kits will be able to remedy over 70% of the damage that happens to your car’s paint job. The only thing you have to worry about the most is dents, peeling paint, and deep cuts that damage the chassis. Otherwise, these kits should allow you to get your car back in pristine shape. Our first stop is the Quixx-00070-Paint Scratch System. This is a highly formulated mixture that will offer permanent relief for most light scuffs and scrapes. 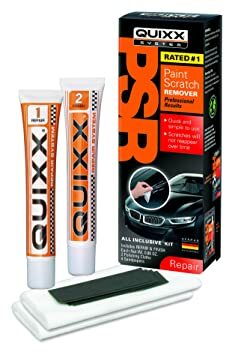 Additionally, you should also be able to mend any medium or deep scratches with Quixx’s patented two-step system. What I like about this kit is that it is super easy to use and offers effective results. What you do have to keep in mind, though, is that for deeper scratches it could take several days before you get complete removal, but high-quality results take time. The system itself is German engineered for optimal performance, and all you have to do is sand the area, place the polish on top, and then buff it out. The kit comes with everything you need to perform repairs on multiple damage sites, meaning that it’s an investment that will last. Overall, this is one of the best car scratch removers on the market. Remove Fine Scratches & Swirls simply applying by Hand. Get rid of light Surface Contaminants, Oxidation & Blemishes. 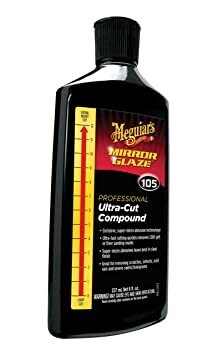 Next, we have the Meguiar’s G10307 ScratchX 2.0. This is a step up from the original ScratchX, and the results are magnificent. For the most part, this formula is designed for small scrapes and scuffs, not anything too deep. If you can see your car’s undercoating, then this kit won’t provide adequate repair. Otherwise, the system is very easy to use and will remove most defects quickly and effectively. I like that it is a permanent solution and that all you have to do is apply the polish and then buff it out. For best results, you may want to sand the area first, but that’s not exactly necessary. When it comes to automotive products that work well, I have a long history of trusting 3M. 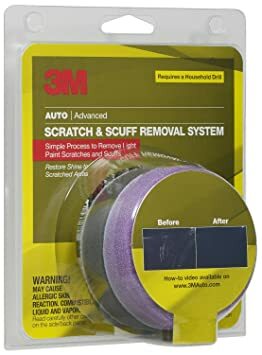 I have always been satisfied with 3M materials, and the 39071 Scratch Removal System is another winner. I just wish that they had a better naming system. Nonetheless, this is a quick and easy three-step approach to fixing your scratches and scuffs. All you do is rub the area with the abrasive square, place the rubbing compound on and rub it in, then place the polishing compound and buff that out. For best results, you should use a power drill for buffing, but it’s not required. I also like the fact that this kit comes with an easy to follow step-by-step guide. ScratchPro promised to provied a pro-quality repair in just 3 step process without going to a body shop. Our next removal kit is one of the easiest to use systems that I’ve ever seen. What makes it stand out even more, however, is the fact that the compounds you use have diamond dust in them for optimized results. I’m not sure if using diamonds is quantifiably better than other materials, but I have to say that the Scratch Pro does do its job well regardless. The way this particular kit works is that you apply three different polishing compounds and rub them in with three separate pads. Everything is color-coded for your convenience so that even the most ill-prepared of us can make it work. Overall the results are fantastic, and it works on most light to medium depth scratches. If you want one of the best brands in automotive care, Turtle Wax is certainly within the top three. I’ve used Turtle Wax products for years, and I don’t think I’ve ever had better results. That isn’t to say that other brands are worthless, just that this is one of the best. 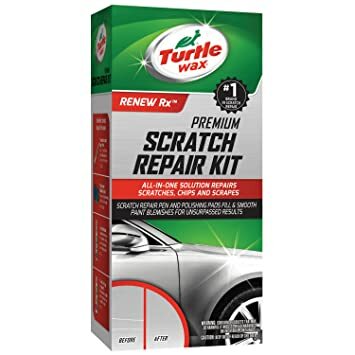 The T-234KT Premium Grade Scratch Repair Kit is one of the best on the market because it offers you solutions to a variety of scratches and scuffs. If you have a tiny scratch, you can use the polishing wax pen for a simple fix. For more intense jobs, you can use the sandpaper, polishing compounds and pads that are provided for some incredible results. This will help you remove most scrapes and scratches unless they are super deep. The finish is permanent as well which is a significant boost. 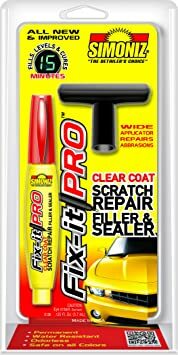 Next, we have the Simoniz S13B Fix It Pro Clear Coat Scratch Repair Pen. As I mentioned above, wax pens are ideal for quick and easy fixes, which means that if you have a few light scratches and scrapes, you should use this pen. Otherwise, if you have something that requires a few layers of lacquer, this will only provide temporary protection. Nonetheless, this is a fantastic option for anything small and light that you want to get rid of without any hassle or waiting. The materials are non-toxic, it can provide permanent results (depending on the size of the damage), and it is even water-resistant so it will stay on longer. Our next kit is another winner from Meguiar. The M105 Mirror Glaze Ultra-Cut Compound is a solution that requires a few extra tool on your end, but the results are spectacular. This is a micro-abrasion solution that will help buff out most small scratches. The best part about this product is that you can use it on a wide array of damage, meaning that one bottle will last for a long time. The M105 offers permanent results and a “mirror glaze” that will restore your car’s natural shine and glow. Overall, this is a great product if you already have buffing pads or towels. Because the solution is rough itself, you don’t need sandpaper, which is a huge plus. A chamring kit that works great! 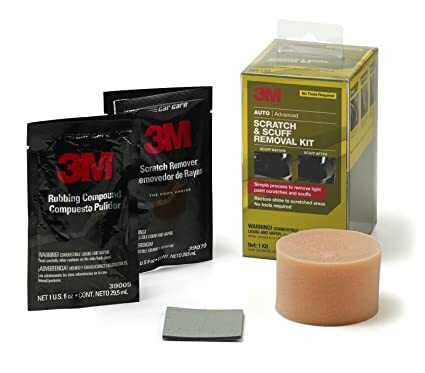 Finally, we come to our last kit, the 39087 Scratch and Scuff Remover from 3M. As I mentioned, I am a huge fan of 3M products, and this kit is fantastic for a lot of reasons. First of all, you don’t need a power drill to buff the polish, which makes it much more practical for some people. In fact, you don’t need any tools to accompany this kit. Overall, this kit is another winner from 3M and will provide permanent results on almost all scuffs and scrapes. 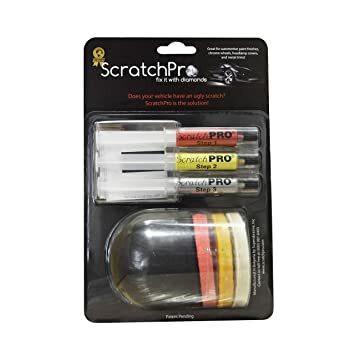 Unless your scratch is super deep into the paint, you should be able to fix it with this kit. For larger jobs, you will have to apply several coats to get the best results, but it is well worth the wait. Whenever you do any kind of maintenance on your car, you want to make sure that you’re going about it in the right way. Most of these kits will offer instructions on how best to utilize them, but here are some general guidelines that you should follow. Overall, just be sure to pay attention to what you’re doing and take your time. There is no rush to fixing a scratch, and if you go too fast, you could wind up making everything worse. When trying to figure out which car scratch remover is best, the important thing to remember is what kind of scuffs and scrapes the kit can handle. For most scratches, I would recommend anything by 3M or Turtle Wax, as these brands are highly rated and offer the best results most of the time. I do also like the Quixx Kit as it seems like a more high-end offering that can take care of more types of scrapes. Overall, however, each of these kits is top-rated and guaranteed to help you keep your car in its best condition.